Many countries around the world celebrate National Day on fixed date, however, there are some exceptions. For instance, King's Birthday is the National Day in Thailand and it's annually celebrated on December 5. After ascension of the next king the date of the holiday will be changed. The incumbent King of Thailand Bhumibol Adulyadej, or Rama IX, was born on December 5, 1927. 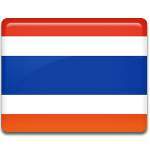 He is the ninth monarch of the Chakri Dynasty, that rules Thailand since 1782. Rama IX ascended on June 9, 1946 and his coronation took place on May 5, 1950. Up to date he is the world's longest-serving current head of state and the longest-reigning monarch in the history of Thailand. King's Birthday is also Father's Day in Thailand. Celebration starts early in the morning, when King of Thailand goes to the temple to make merit to the monks. This event is broadcast on the national television. People dress up in yellow to show their respect to the king. Yellow is King's color, and color of Monday, the day when Bhumibol Adulyadej was born. Children organize special shows comprising of national dances and dramas and give their fathers the canna flowers, which are considered to be masculine flowers.